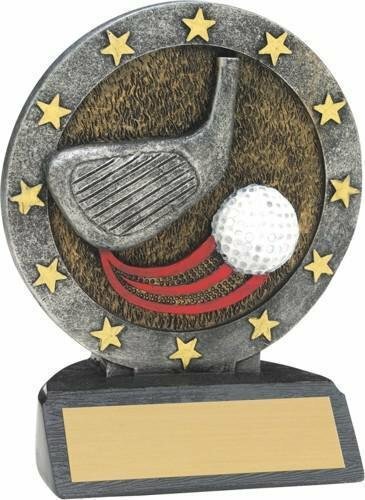 This 4.5" resin trophy features colorful activity graphics within a circle of stars. Includes personalized plate with 3 lines (maximum of 20 characters each line) of lettering. 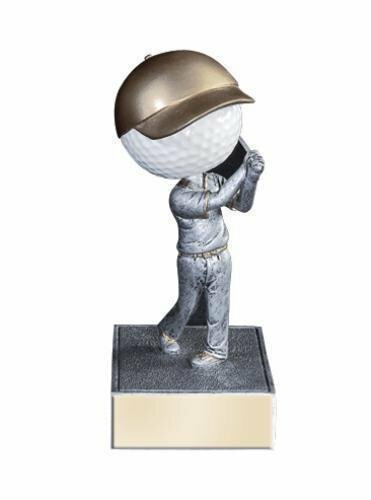 5.5" tall silver resin trophy features a sport ball head that bobbles freely. Includes personalized plate with 3 lines (maximum of 20 characters each line) of lettering. 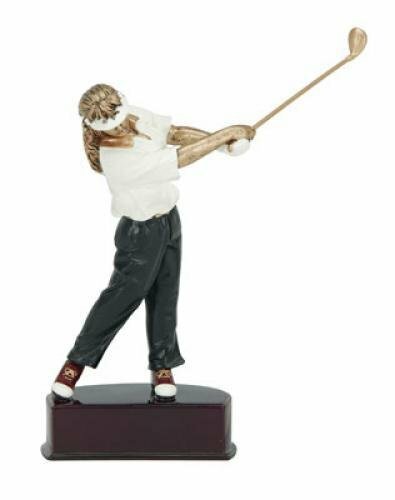 If you're looking for a realistically colored, action figure trophy, you can't do better than this! 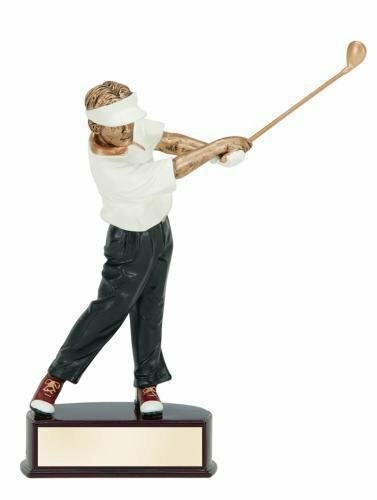 This detailed 8" resin trophy has amazing details. Black base accommodates 3 lines (15 letters each line) of personalized lettering, included in the price. 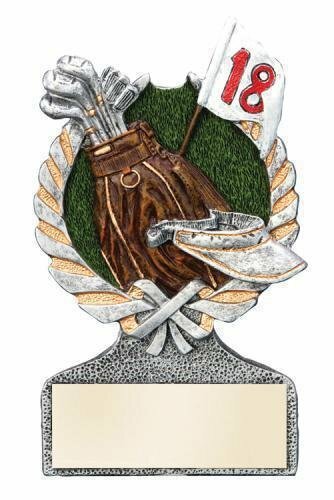 5" silver resin trophy with color activity accents is a great momento for a job well done. Includes personalized plate with 3 lines (maximum of 20 characters each line) of lettering.